Tasman New Zealand is the region covering the North West side of the South Island and the Abel Tasman National Park is one of the places that make the region famous for the Parks stunning scenery, golden sandy beaches coves and bays, and bush walks with views that take your breath away. 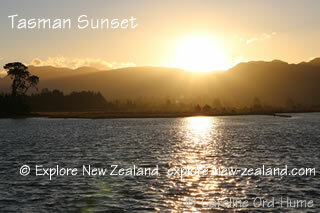 There are two more equally beautiful national parks in Tasman, Kahurangi National Park and Nelson Lakes National Park. 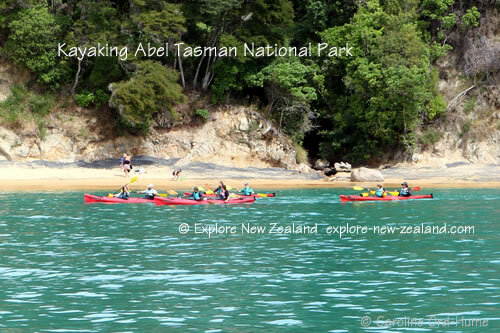 The two main settlements for starting points to explore the Abel Tasman National Park are Motueka and Takaka, both of which provide all the information you will need before heading off into the Park. If you want to make use of any of the huts within the park for an overnight stay you must book with the Department of Conservation because they are really popular and are booked up well in advance. The i-SITE office in Motueka can provide advice and information, and help with bookings and tours through the area. 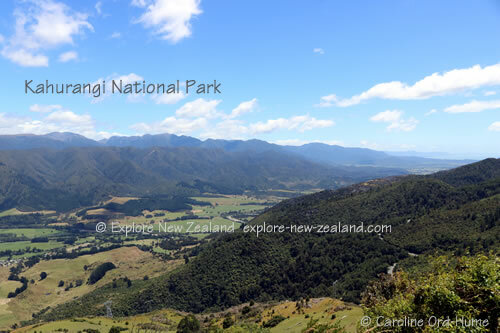 Collingwood is the best starting place for access to Kahurangi National Park from the north, and the northern end of the Heaphy Track, one of the 9 Great Walks in New Zealand. 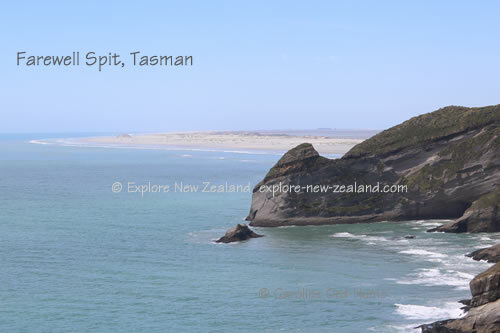 Collingwood also makes a good base for trips out to places such as Farewell Spit and Cape Farewell. Tours up the Farewell Spit can be booked at Collingwood, you are not permitted to drive on Farewell Spit in your own vehicle. 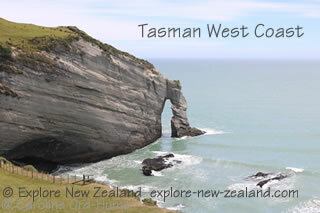 On the west coast below Cape Farewell there is good surfing to be had and some amazing views down the coastline. There isn't a road going south all the way down the coast to the West Coast region from Tasman, although you can of course walk the Heaphy Track. To drive south requires returning along SH60 to Motueka or Richmond to take SH6 through Murchison to Westport. At Westport you can go north along the coast to get to the lower end of the Kahurangi National Park, but the coast road does come to an end. To visit the Nelson Lakes National Park head south on SH6 to Kawatiri Junction, then take the SH63 to St Arnaud, or carry on SH6 to the turn off for Rotoroa. The lakes Rotoroa Lake and Rotoiti Lake are big attractions in this park, along with hiking and skiing.